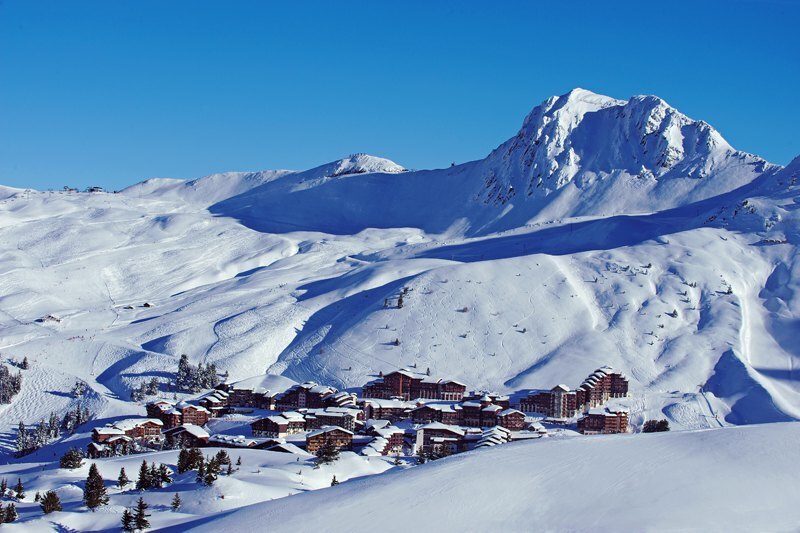 If you are starting out as a skier, Montgenevre is a brilliant destination to choose. 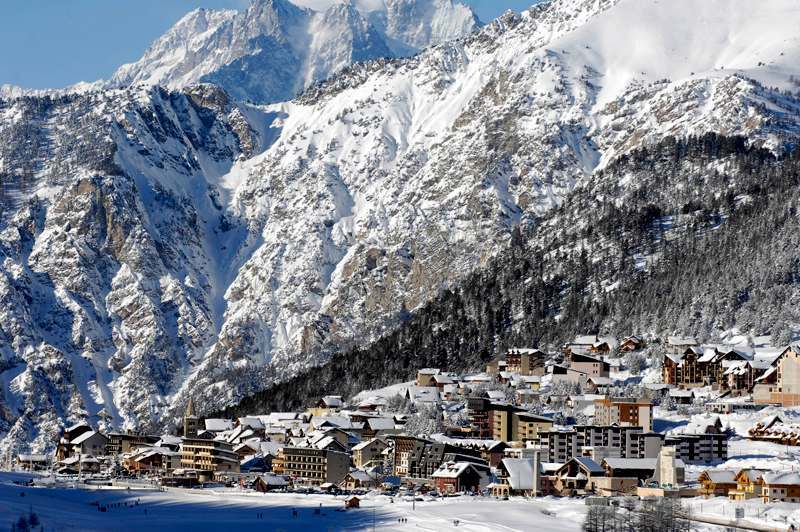 Connected to the 400km Milky Way ski area, the village is charming and unpretentious, with an incredible ‘front de neige’ – the ski equivalent of a seafront – with a huge gentle slope right in the heart of the village. For more advanced skiers, the terrain has an array of places to find powder snow – which often stays untracked here longer than other areas. The resort has built a new public swim and spa complex, called Durancia, with a special lagoon for children, fresh and salt-water pools. Train travel: Eurostar to Paris and then TGV to Oulx; from there it’s 30 minutes by bus or taxi. See our villas in France. St Anton has been something of a Mecca for good skiers, attracted by the lure of abundant powder snow with which the resort is blessed. The layout of the slopes is such that you can spend an entire day here without ever skiing the same run twice. The home of the first ski school in the Alps, St Anton has a lot of prestige and history, something you feel when walking though the attractive car-free village centre. Pop in to the ski museum, for an illuminating display of the sport’s origins and development, and stay for dinner too – at the unique restaurant in the atrium. 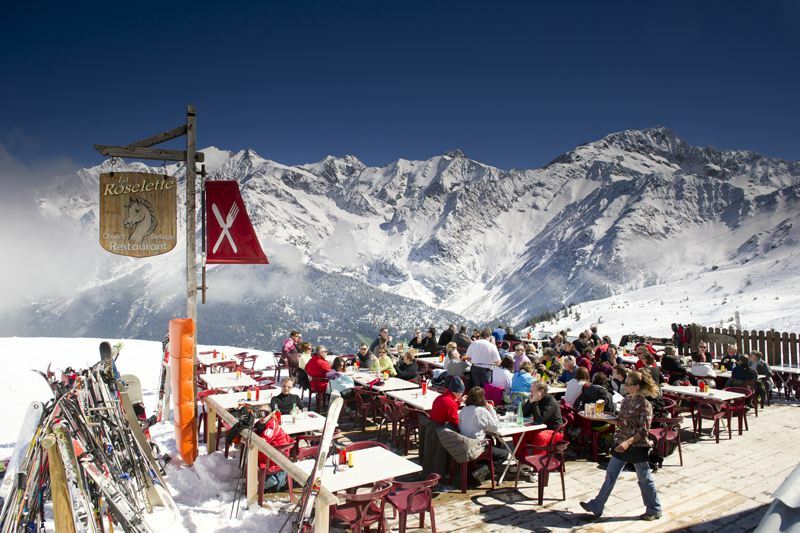 On slope too, gourmets will be in their element, with well-loved eateries such as Verwallstube and Hozpitz Alm. 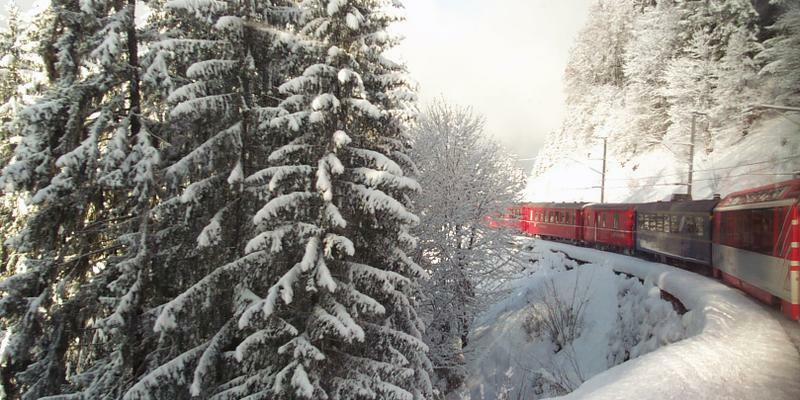 Train travel: Eurostar to Paris, then TGV to Zurich and Railjet to St Anton; the train station is in the village. See our chalets in Austria. Part of the Lake Annecy Ski Resorts region, cute Le Grand Bornand is a firm favourite amongst in-the-know French families. The architecture in the village is a big part of the appeal: there are lots of wooden chalet and hotels buildings, just as you would ideally hope to see. The village is actually the birthplace of Reblochon cheese, and local menus reflect this accordingly – to the delight of diners. 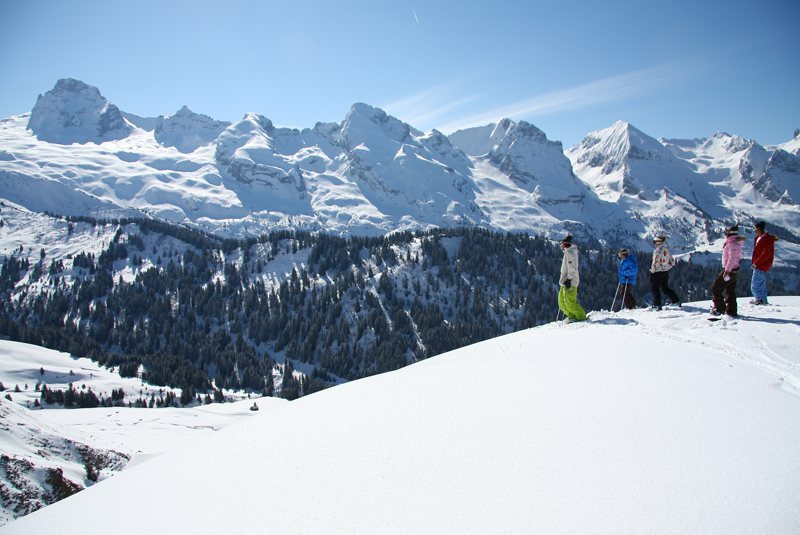 The slopes are quality, the scenery over the Aravis mountain range sublime. Beginners will find the Joyère and Rosay zones particularly suitable, above the village. And the wider ski pass includes neighbouring La Clusaz, giving mileage hungry skiers plenty to go for. Train travel: Eurostar to Lyon, then local train to Annecy; from there it’s 35 minutes by bus or taxi. 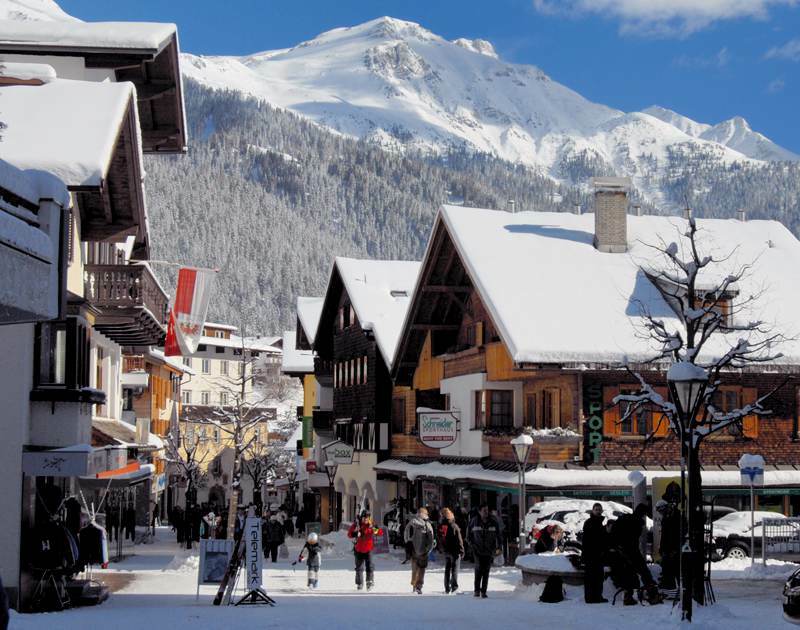 Home to one of the most popular ski-in/ski-out villages in the Alps, Les Arcs has been a firm favourite with British and French skiers for years. It’s easy to see why: the layout of the slopes means that even beginner skiers can be cruising smooth, easy blue runs at high altitude. And for more experienced, the variety and extent of the slopes makes for some epic days. 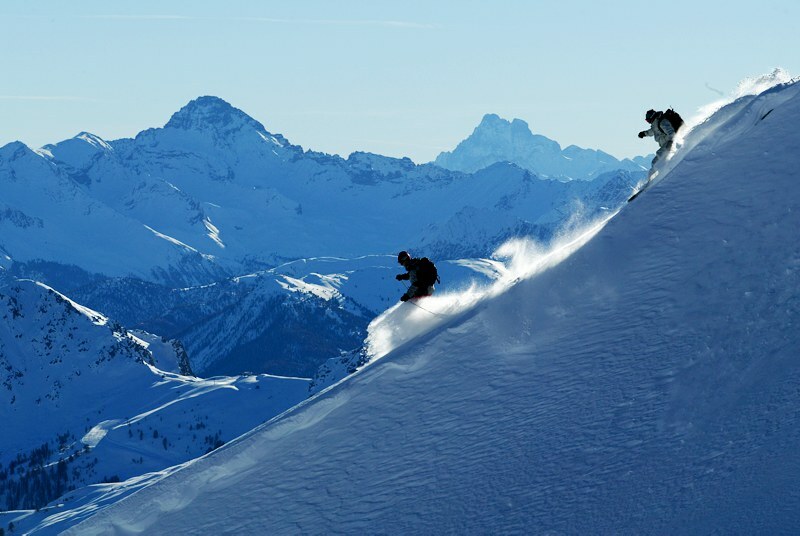 The 425km of terrain, known as the Paradiski, is shared with neighbouring La Plagne and Peisey-Vallandry. In Arc 1950, the slopes actually come through the village, so you can literally put your skis on at your front door, and go. Or just below, in Arc 1800, the new Mille8 development has a 3800m2 swimming and aquatic centre with waterfalls, indoor and outdoor pools, and a state-of-the-art animated luge run. Train travel: Eurostar Ski Train to Bourg St Maurice; from there it’s seven minutes by funicular to Arc 1600, with free shuttle bus to the other villages. With 250km of slopes shared between its four villages, Serre Chevalier Vallee in the Southern Alps is one of France’s big hitters. A whopping 80% of the ski terrain is located above 2,000 metres altitude, making it very snowsure for early and late season. The quality of the runs here is remarkable too. Try the beautiful, swerving Cucumelle red run or the cruisey Mytrilles. And skiing isn’t the only way down: there’s an exhilarating 4-km toboggan run, which takes you through 26 turns in a larch forest, dropping 573 vertical metres. The resort also organises visits up the mountain at night, where a piste-basher escorts you up to a mountain restaurant for dinner under the stars. Train travel: Eurostar to Paris and then sleeper train to Briancon, which is the first of its villages. 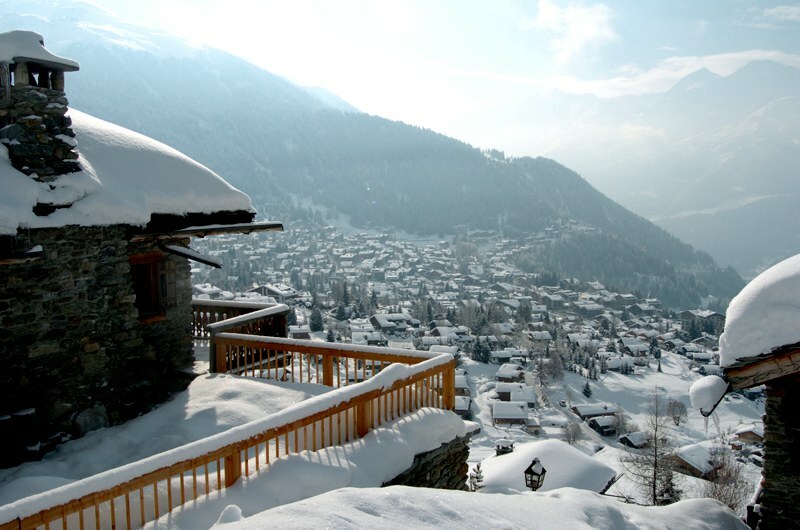 If you love off-piste skiing and abundant powder snow, Verbier may already be well established on you ski radar. This is a resort with a great, high-mountain feel and some stunning scenery. There are some fabulous itinerary runs from the Col de Gentianes, and on the other side the Jumbo red piste stays beautifully quiet. Another area to check out is the Savoyeres, with a great network of reds. In the village, the accommodation is hip and swanky and the buzz very cosmopolitan, as this is a resort that attracts a really diverse crowd, to it’s credit. For après on the slopes, the Rocks bar, Chalet Carlsber and Bar 1936 are all good fun. And in town, places like Big Ben and Pub Mont Ford will have you questioning whether you are going to get that first lift the next morning. Train travel: Eurostar to Paris, stopover and then morning TGV to Martigny and local train to Le Chable, 20 minutes away. See our villas in Switzerland. 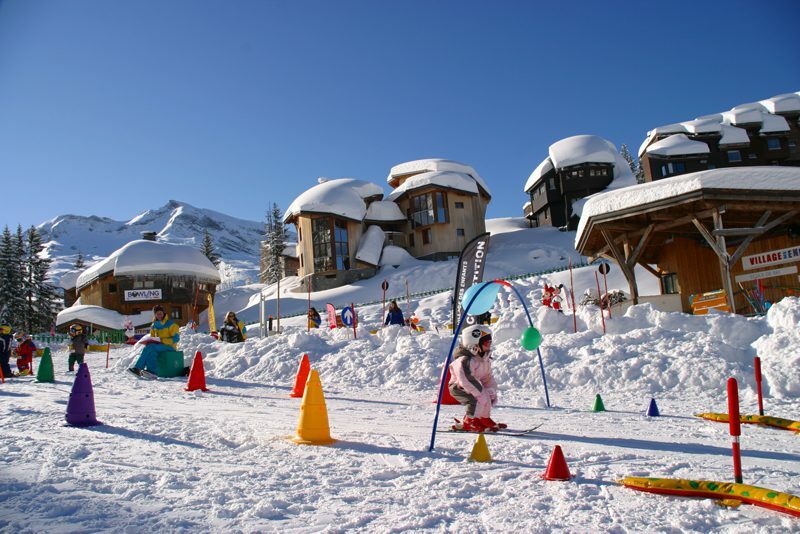 For families especially, La Plagne has an enduring popularity – and with good cause. There are loads of intermediate-friendly slopes here, along with some great beginner areas too. The resort is part of the Paradiski area, linked with Les Arcs and Peisey-Vallandry, giving a myriad of exploration possibilities. But the fun isn’t just on the slopes: the Olympic bobsleigh run is the place to go for high-octane thrills, at speeds of up to 120km/h. We’d also recommend paragliding – where you can literally ski or snowboard off a slope (with an instructor strapped behind you), and within moments you’ll be hundreds of metres above the ground, looking down on the ant-like skiers below you. Train travel: Eurostar Ski Train to Aime la Plagne; from there it’s 25-40 minutes by bus or taxi. 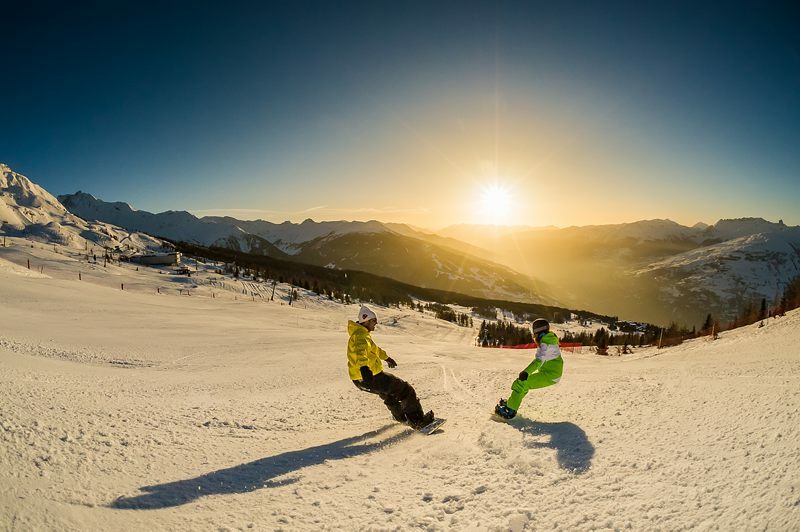 Sauze d’Oulx might be in Italy, but located on the French-Italian border, it is an easy trip by train, with a train station only a few minutes away. Back in the 80s, the resort had a reputation as a party town, but these days – though lively – it is more civilised. The town has a lovely car-free, old centre, with cobbled streets and homely restaurants. The skiing is extensive – with 400km of slopes, shared with nearby Sestriere, and Sansicario and further afield, Claviere and Montgenevre. What we love is how quiet the slopes remain. You can find yourselves on empty, wooded runs, as if the mountain is all to yourself. Enjoy discovering the little rustic restaurants on the slopes, like Ciao Paix, which does a mean cappuccino and a mouthwatering range of homemade deserts. Train travel: Eurostar to Paris and then TGV to Oulx; from there it’s 15 minutes by bus or taxi. See our villas in Italy. 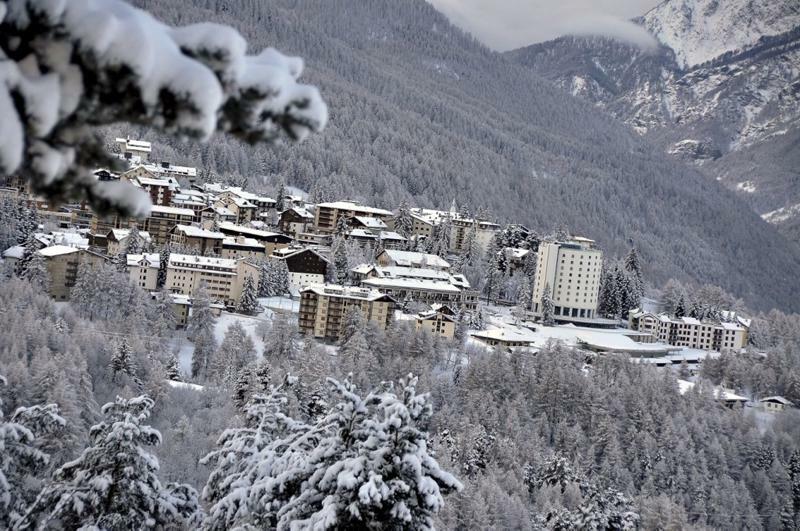 'One of the friendliest villages in the Alps' is a common refrain from skiers that discover this resort. They are not wrong. The village has a wonderfully relaxed atmosphere, and the restaurants, which excel at hearty Savoyard dishes, will welcome you as if you were coming to dinner a friend’s house. There are 135km of ski slopes here, with breathtaking scenery, facing onto an unparalleled view of Mont Blanc on one side, and a gorgeous vista into Hauteluce on the other. What is more remarkable still, is that even on peak dates such as half term, the slopes stay almost empty in many sectors. Favourites for a lunchtime mountain feast are La Buche Croisée and La Roselette, but there are plenty of other good ones to try. Train travel: Eurostar to Lyon, then local train to St Gervais; from there it’s 20 minutes by bus or taxi. Another of the Alps’ most popular ski-in/ski-out resorts, Avoriaz is perched on a clifftop at the top of the huge 600km Portes du Soleil. It’s an enviable location, giving access to an incredible range of ski options in all directions. The village is entirely car free – and when you arrive, you and your luggage are transported to your accommodation by horse-drawn sleighs. The beginner area in the centre of the village doubles as a huge tobogganing zone in the evenings, and the Aquariaz aqua centre has real tropical plants and a variety of pools, lagoons and waterfalls. Innovatively, the resort has also introduced paintballing and imported the Japanese ‘Yukigassen’ snowball fight concept. Let the games begin! Train travel: Eurostar to Lyon, then local train to Annecy; from there it’s 55 minutes by bus or taxi. The author of this article, Daniel Elkan, is a freelance ski journalist and founder of SnowCarbon, a guide to travelling to ski resorts by train.